Gold prices rose by Rs 167 to Rs 32,095 per 10 gram in futures trade Monday as speculators widened their bets, tracking a firm trend overseas. 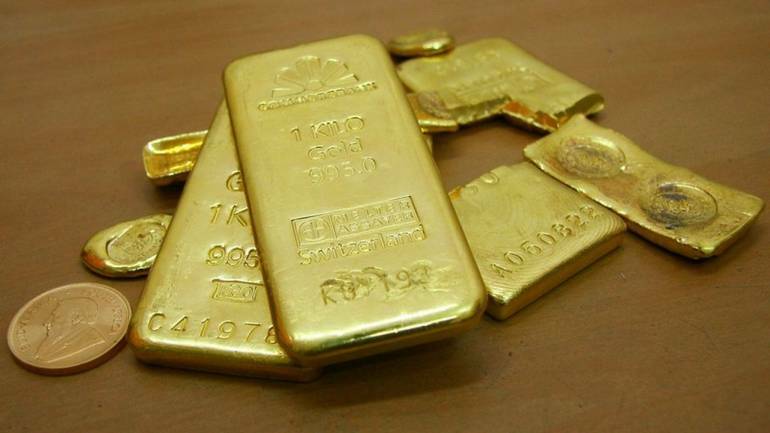 At the Multi Commodity Exchange, gold for delivery in February was trading higher by Rs 167, or 0.52 per cent, to Rs 32,095 per 10 gram, in a business turnover of 12,675 lots. Similarly, the April rates of the precious metal edged higher by Rs 182, or 0.57 per cent, to Rs 32,220 per 10 gram with a business volume of 6,265 lots. Analysts said raising of bets by participants, taking positive cues from global market, as weakness in dollar raised demand for the precious metal as a safe haven, mainly pushed up gold prices at futures trade here. Globally, gold rose 0.11 per cent to trade at $1,228 an ounce in Singapore.